Pulwama terror attack: What helped officials to identify dead bodies? 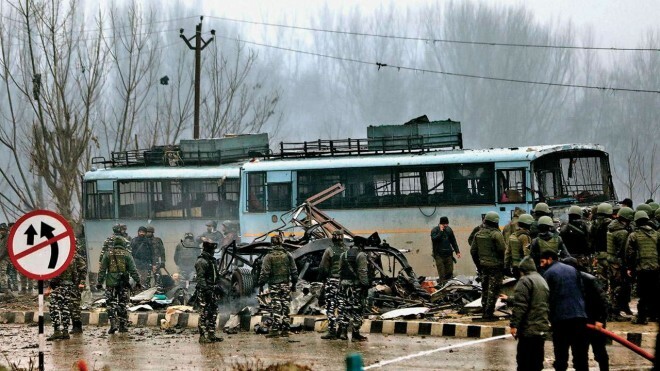 New Delhi, Feb 16: Aadhaar cards, leave applications and some personal items were the things that helped identify the bodies of 40 CRPF soldiers who were killed in a car bomb attack in Jammu and Kashmir's Pulwama on Thursday, officials said. They said the bodies of the troops were burnt due on the high-intensity impact of the RDX-triggered blast, and it became very difficult to discover their identities. Most of the soldiers were either identified by their Aadhaar cards, force ID papers, PAN cards or leave applications kept in their pockets and bags. Some of them were identified by their colleagues by the watches or wallets they had on. Officials at the Srinagar and Jammu bases of the Central Reserve Police Force (CRPF) undertook the dismaying task of making hundreds of calls to the families of the soldiers, who were part of the convoy, to establish that none was missing and the identities of the dead were correct. A soldier was found to be in Delhi while another had aborted the journey in the last moment due to some urgent work in Jammu, another official said. The CRPF headquarters in Delhi released a list of the 40 dead personnel late on Friday evening after their identities were firmly established with the help of forensic profiling and matching them with their belongings that were recovered from the blast spot, officials said.